Don’t you know where to celebrate your children’s communion? 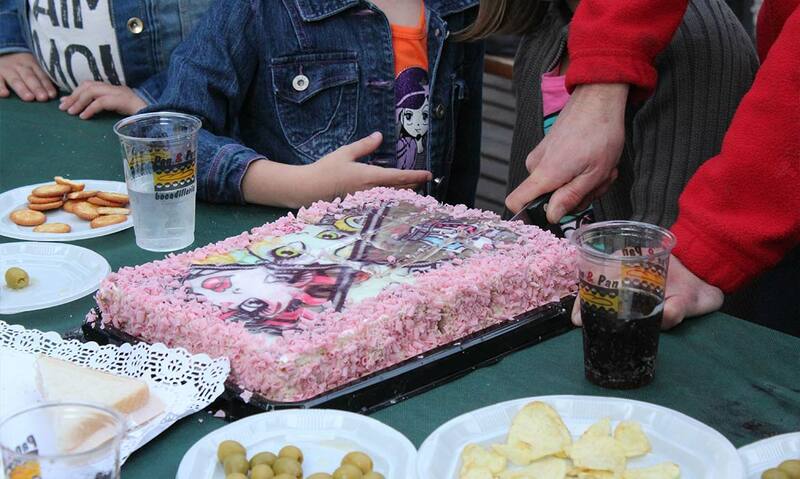 Would you like to prepare a big party where having your friends and relatives around emotion and amusement? 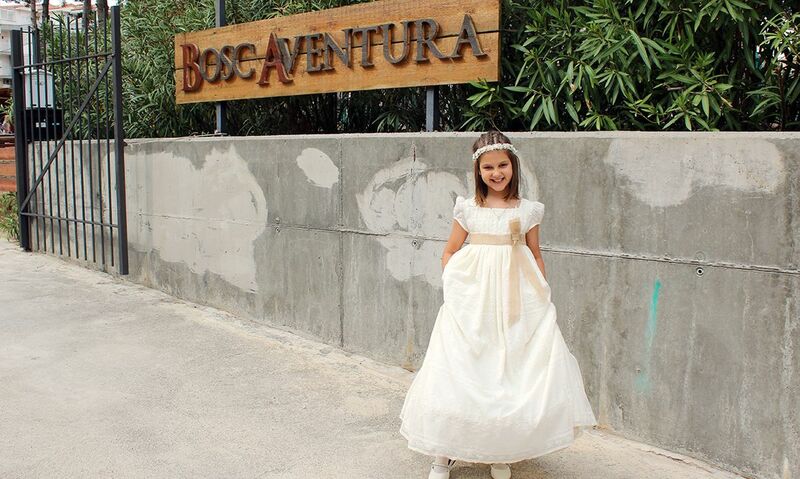 In BOSC AVENTURA you will have the chance to celebrate your children’s communion in a different, amusing and very original. Get ready to enjoy a frenetic communion. Do you dare? Do you like this plan? Come with your children, Live it! 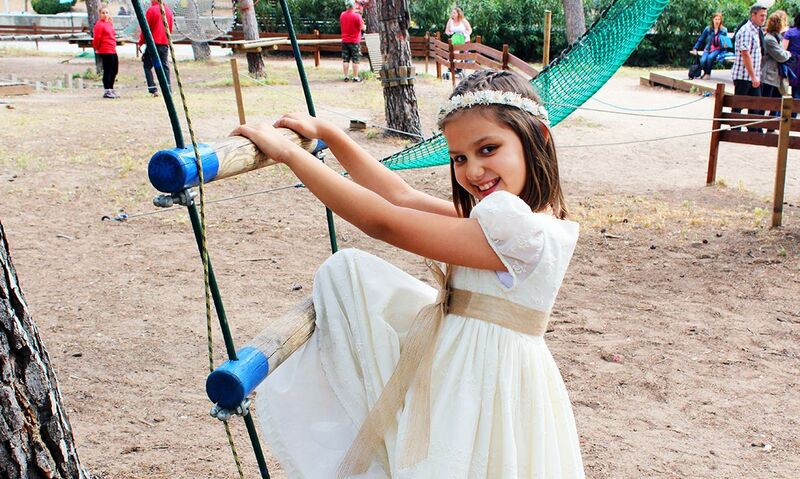 In BOSC AVENTURA make this celebration so important will become a very special day. We have facilities of more than 8.000 square meters where children and adults will enjoy different activities: Zip lines, Paintball, Minigolf and a Archery Tag. This is your opportunity to celebrate your children’s holy communion in the centre of Salou, in a privileged environment. You will discover a multiadventures park where the little ones and not so little are enjoying among the bridges, nets and zip lines on the trees safely. Find out more. More than an unforgettable party, Best communion gift ever! In your First Holy Communion, enjoy a fantastic snack. Zip line, Paintball and Minigolf. After enjoying these games and having a good time, in BOSC AVENTURA you will recharge your batteries with a well deserve lunch where sandwiches, drinks, delicacies varied stuff. Nice! Do you accept the challenge? They will have a blast, you all will enjoy as children. 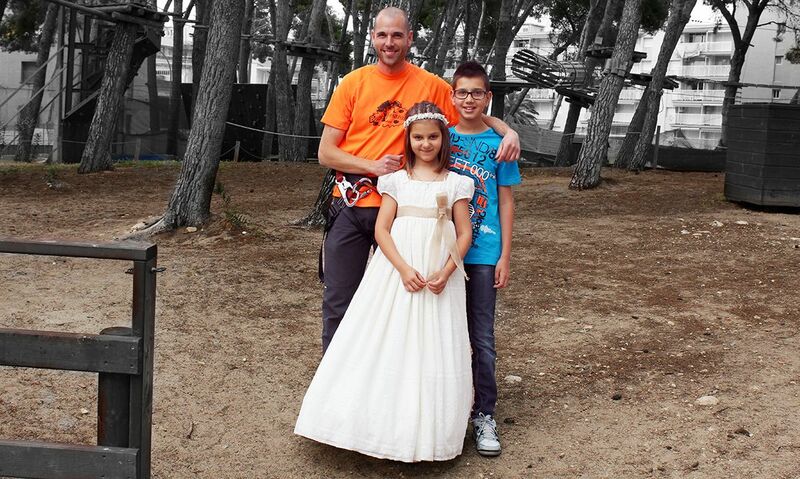 No doubt, it is a perfect activity to celebrate your communion in Salou with all your family! Enjoy ziplining and bridges along with nature as your fellow adventurer. 4 zipline circuits with different levels of difficulty to show your courage and your balance skills. Are you concern about safety? In BOSC AVENTURA you will be in safe hands due to all the Zip lines and Tibetan bridges safety equipment. Safety harness and carabineer hooks. The moment of truth has arrived. Can you imagine a battle of paintball with friends and family? Eliminate your opponent or capture the flag. 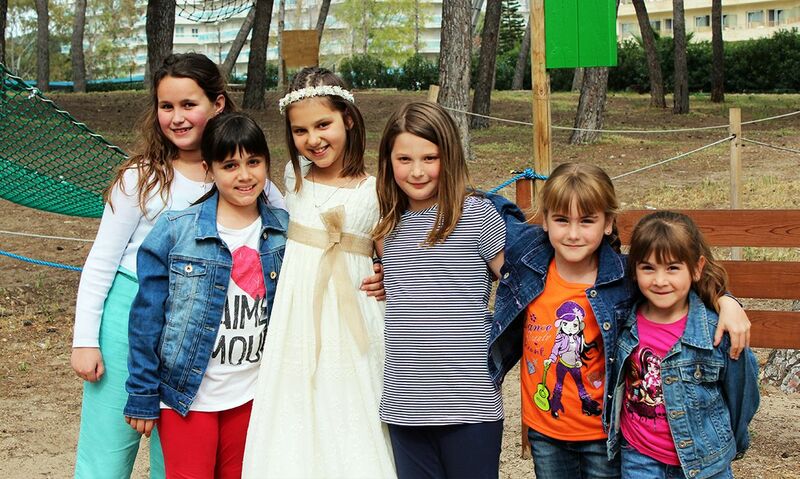 In your communion party in Salou, the fun is assured! Adrenaline, strategy and pure fun. Bosc Aventura gives you protection systems needed to perform this activity. Come on and... Play! What about kids? They can show their abilities aiming in the shooting range especially designed for them. Also, children from 7 years old can play Paintball with the new Splatmaster guns now. Don’t doubt and find out more here. We have the option of aiming in our Paintball Zone for children as well. Come and discover more. Do you like minigolf? To celebrate your children’s communion we offer you 14 different tracks where you can show your skills and aim. Show who you are reaching out the whole with the less amount of blows. Get the winner and get fun! *To book, it is needed a week in advance. A different First Holy Communion full of adventures and excitement? 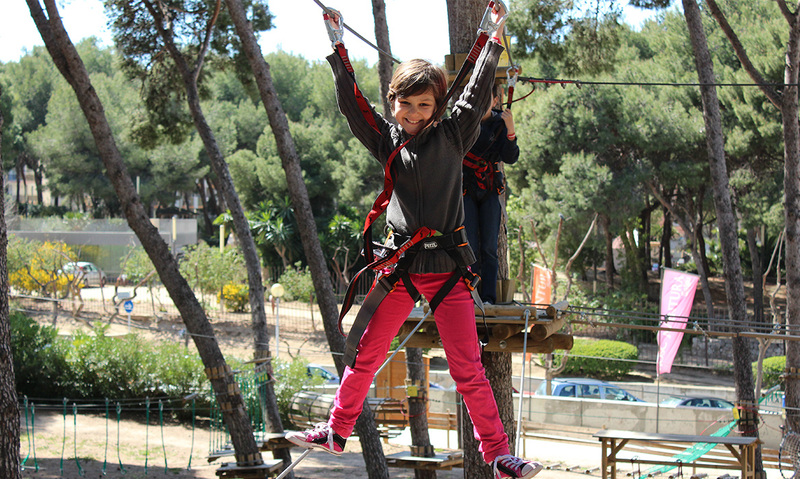 Do you dare with ziplines Bosc Aventura? Let the fun begin in Bosc Aventura.